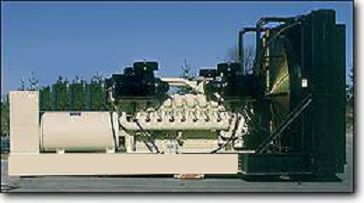 Remote Radiators | Heat Transfer Devices | CH Bull Co.
A gas or diesel generator is an ideal solution for numerous prime and standby power applications. Whether you’re working in a location without access to a “standard” power supply, or need an emergency backup in case the electricity goes out, you need a generator. For that generator to operate at its best, you need to keep it cool, and for that, you need a remote radiator from C.H. Bull for your custom cooling solutions. Our signature FLAT-ROUND remote radiators core have delivered exceptional performance for decades in the toughest diesel and gas engine air cooled systems applications. With our pre-engineered radiator sub-components can be instantly configured into thousands of combinations for quick proposals and short lead-time deliveries. Our remote radiators design software quickly optimizes to fit your own custom cooling solutions needs, and configures precisely the radiator you need...no more, no less. Our modular production system quickly pulls together the needed pre-configured components for your unique cooling system solutions, so your units are assembled and shipped in record time. 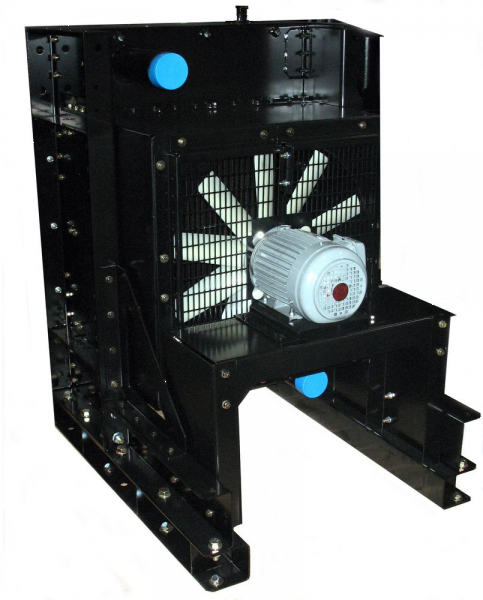 Models include vertical core (VM, VB) and horizontal core (HM,HB) remote-mounted radiators and genset-mounted fan-on-radiator (FR) and fan-on-engine (FE) designs. From 300 kW to 3000 kW, the comprehensive range of solutions can meet your power gen cooling requirements for durability and speed. When it comes to custom sized industrial radiators C.H. Bull can provide many options to support your custom cooling solutions needs. FLAT-ROUND tubing combines the superior airflow and heat transfer of flat tubes with reliable tube-to-header mechanical bonding for exceptional durability. Mechanically bonded, roller-expanded tube-to-header joint prevents coolant leaks because there’s no solder to corrode or crack, no braze to fatigue, no rubber grommets to replace. Half-inch thick steel header plate with machined O-ring tank seal provides incredible rigidity and strength and additional protection against coolant leaks. Heavy-wall brass tubing provides strength and damage resistance. With our welded seam construction, there are no soldered lock seams to corrode or leak. DS1 cores use flat copper plate fins soldered to brass tubes for maximum core strength in prime power and CHP applications. DS2 cores use louvered serpentine fins brazed to brass tubes with CuproBraze technology for highly efficient cooling and lowest cost in standby applications. CuproBraze combines high strength copper fins with flat brass tubes to provide heat exchangers that are more durable, compact and efficient than conventional brazed aluminum. With greater thermal conductivity and superior corrosion resistance, compact CuproBraze heat exchangers perform reliably in even the most challenging operating environments. Young Touchstone uses unique processes for machining header holes and o-ring grooves, transforming tubes from flat to round, annealing and sizing tubes, and mechanically bonding tubes into headers for superior quality. 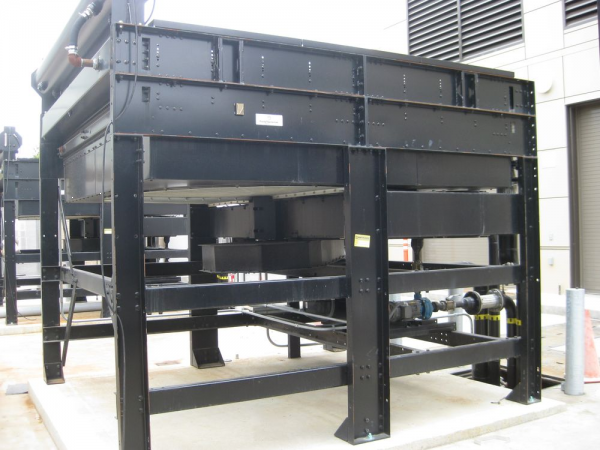 Young Touchstone’s core design and construction incorporates features with custom cooling solutions benefits. This provides maximum radiator durability that is especially important in applications where severe thermal stress, excessive shock and vibration, thermal cycling, or high operating pressures up to 60 psi are present. For all prime and standby power applications, Young Touchstone remote radiators are the absolute best air cooled systems on the market today. Their horizontal core and vertical core remote radiators can be installed on the roof of your building (or almost any outdoor location adjacent to your generator) or mounted directly on the skid with the generator itself. Young Touchstone is the only remote radiator manufacturer to bond radiator tubes to the headplate with rolled connections. After assembly, every unit is pressure tested underwater to ensure there are no leaks. This multi-step testing process can spot leaks headstocks, tubes, etc., and every test on every radiator is fully documented. No other company puts their remote radiators through such extensive testing. C.H. Bull is an authorized distributor of Young Touchstone products. We offer their remote radiators in a range of sizes, configurations, and voltage levels, and can help you select the best and most effective custom cooling solution model for your unique heat transfer applications. We can provide remote radiators to handle heat loads as high as 110,000 BTUs/minute. Young Touchstone’s horizontal and vertical remote radiators are certified seismic applications, including international building codes 2000, 2003, 2006, and 2009. We can also provide custom remote radiators that are sized to your exact needs. Let us know the heat load you’re dealing with, and we can develop a custom cooling solutions system that’s perfectly suited to your application. C.H. Bull has the high performance Young Touchstone remote radiator you need to keep your generator running at peak efficiency. Request a quote or contact us for more information.